This one-two knockout comes to us (and subsequently you) from GastroMusicology, a team that created a PreSonus StudioLive 16.0.2 introduction video so thorough, so detailed, and so compelling, that it had to be split up in to two entirely separate videos. Kinda like “Kill Bill,” except with this you don’t have to pay twice to watch what is pretty much one movie. Orchestral Scoring in Studio One 2, Part 3. EQ! Now that I’ve mentioned EQ, it seems appropriate to explain the processing of orchestra sections. I’m not that experienced in mixing, and am still learning the ropes, but I’ll try to describe my workflow as best as I can. My motto is “If it sounds good already, don’t touch it.” I told you that I like Symphobia because it has that “film sound” that us composers are going for… and to be honest, I do not EQ Symphobia patches at all. But, I’m tampering a bit with LA Scoring Strings. I like the way they are recorded dry and up close, so it gives me room to EQ them nicely. What I have noticed is that LA Scoring Strings violin patches are rather harsh in the upper register, and sometimes it really hurts my ears. 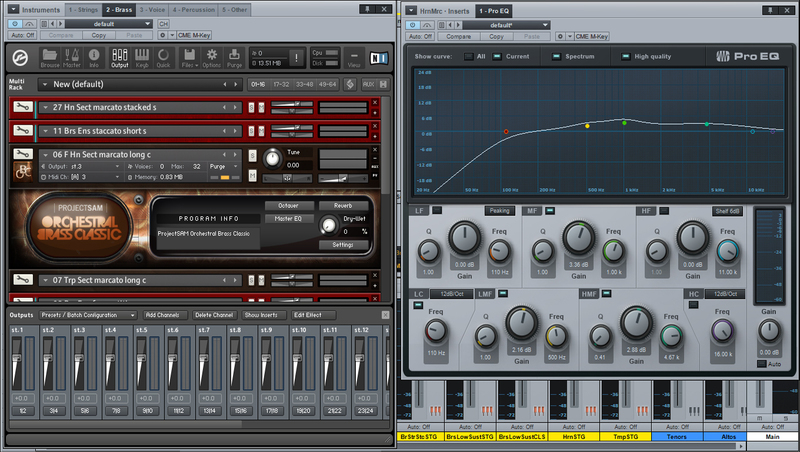 So, I like to roll off the harsh frequencies (and some low frequencies) with Studio One Pro EQ. 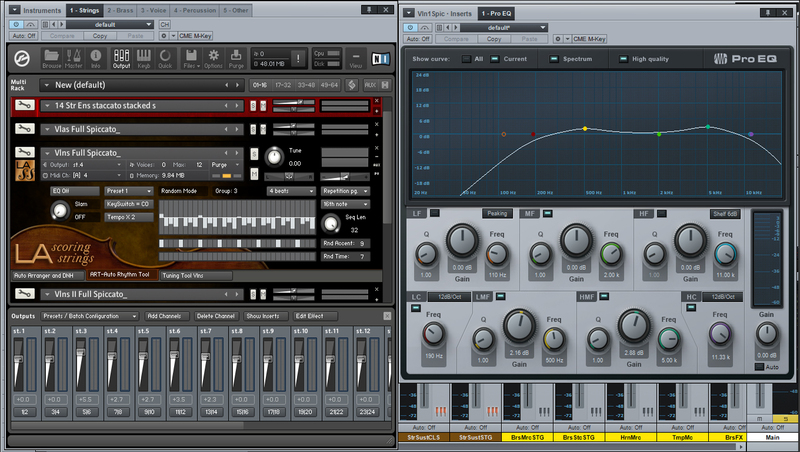 If you are familiar with using other parametric and graphic EQs, you’ll feel at home with Pro EQ. I like to boost a couple of dBs in low-mids and high-mids to give a sense of air to the violins. 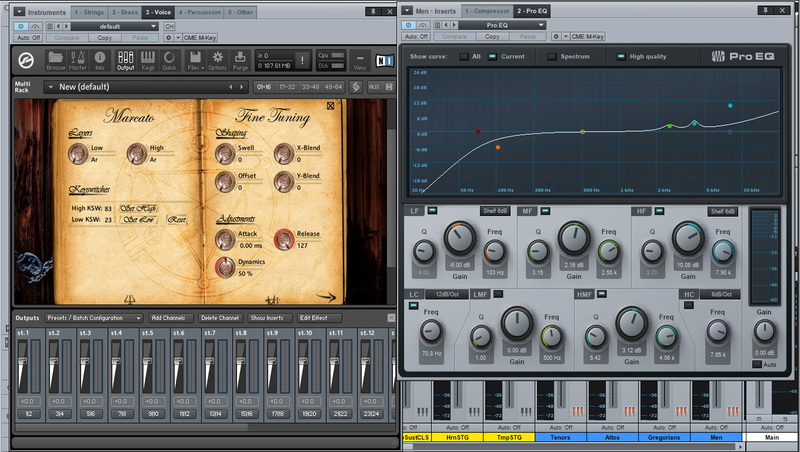 In the picture below you can see how my EQ graphic chart looks like for the violin. Of course, if you have your own way of doing this, feel free to experiment. Some people like to solo tracks and listen to them individually before processing them. That’s cool, but if you’re going to achieve a proper mix of the instruments you will have to monitor them in the entire section. 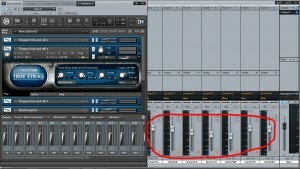 Feel free to monitor your string section instruments together and try to hear where you should apply your EQ. Every string section instrument has its own frequency range and you should pay great attention to all of them. Roll off the frequencies that you don’t hear normally in the instrument group, and pay attention to those that are relevant to the instrument. Like you saw on the EQ chart for the violins: violins don’t have low frequencies, so cut them, otherwise you’ll have chaos in your mix. Double basses don’t have high frequencies, so cut those, too… and so on. I use the same approach to my brass section as well. I monitor the entire section and roll off the frequencies that I don’t need and concentrate on those that are relevant. Tuba is in lows, of course, trombones occupy low mids and high mids, most horns are also in low and high mids, and trumpets are in the high mids and highs. 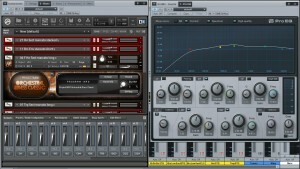 Here’s an example of my Horns section being processed with Studio One Pro EQ. It’s the same as with the strings. I don’t process the Symphobia patch, but I pay attention to close setup of individual brass in Orchestral Brass Classic. Sometimes I even notch some of the peaking frequencies, because brass can get very loud. I rarely use woodwinds in my pieces, so all I can say about them is that I rarely EQ them, and when I do, I notch the peaks and roll off the lows on flutes, clarinets and english horns. I don’t use bassoon that much, but I would treat it similar to double bass. If you have ideas about them, feel free to share. Now, as far as that layering goes with True Strike, feel free to experiment with different level blends of those three mic position patches. When it comes to choirs and vocals, I am treating them as any pop or rock producer would treat them. 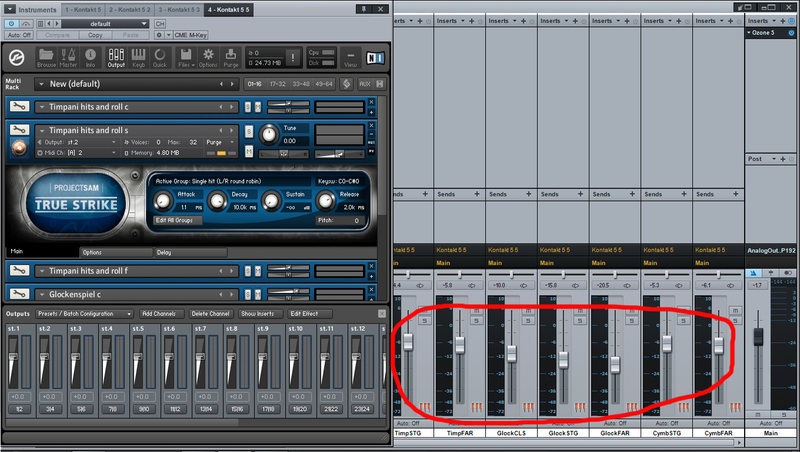 I like to use the presets for vocals in Studio One and tweak them a bit. 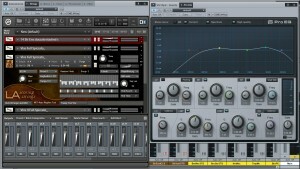 That pretty much covers the basics of orchestral EQ processing in Studio One. Thanks for reading and stay tuned for part 4, which is a more detailed topic than you may at first think: orchestral reverb!